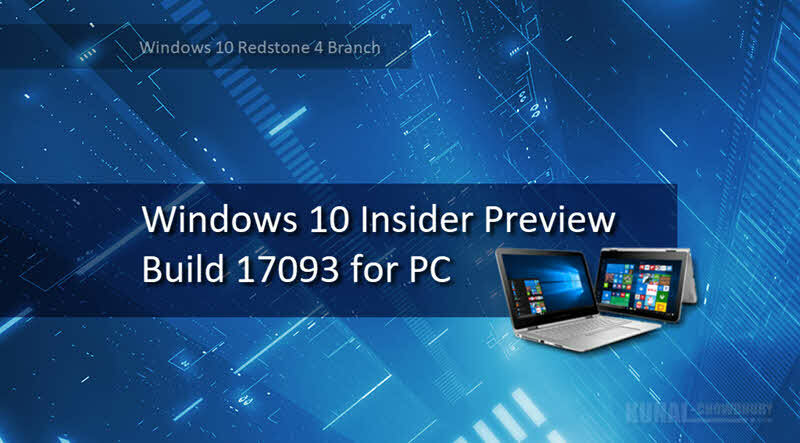 Microsoft released a new Windows 10 preview build 17093 to the insiders on the Fast ring. The last build was 17083, which was released two weeks ago. In the latest preview build from the Redstone 4 branch, Microsoft added many new improvements and fixes. Check this post to know the key improvements and fixes part of this build. Don't forget to check the 'Known Issues' before upgrading. Along with the insiders preview build 17083, Microsoft added some new privacy tools that includes the Diagnostic Data Viewer. Users can now delete the Windows Diagnostic Data that Microsoft has collected from your device. In Settings | Privacy | Diagnostics & feedback, you will find a delete button, which will allow you to delete the Windows diagnostic data associated with your device. Many newer devices are capable of HDR video, but needed to be calibrated in the factory to enable HDR. Now, you can access this new functionality via Settings | Apps | Video playback. If you toggle ON the Stream HDR video, your device can be calibrated for HDR video. In this new build, Microsoft introduced a new Graphics settings page for Multi-GPU systems that allows you to manage the graphics performance preference of your apps. You can access this by navigating to Settings | System | Display and then scrolling down to the Advanced graphics settings link. Eye control functionality was introduced with Windows 10 Fall Creators Update. Along with this new build 17093, Microsoft added some new capabilities to it. You can now scroll the content more easily, accelerate to common tasks with quick access to Start, Timeline, Settings, and device calibration. Eye control users now have the flexibility to hide the launchpad for uninterrupted reading, streaming, or relaxing without accidental clicking. Re-engaging the launchpad is simple too – just glance at the pause button in the top or bottom middle of the screen. Microsoft improved the Game bar UI to make it easier for you to find what you are looking for. You can go to your captures, toggle your microphone and camera, and edit the title of your Mixer stream - all from the new buttons on the Game bar. You can also quickly check the time using the new clock, select Dark or Light theme. Microsoft renamed the settings page under Settings | Update & Security from Windows Defender to Windows Security. This settings page has also been redesigned – putting emphasis on the various protection areas to keep you safe and secure on your PC. Starting with this build, Windows enables users to start pairing and connecting supported devices in a single click. When these devices are ready to pair and detected to be in range, Windows shows a notification to the user allowing them to quickly and conveniently start the pairing process. There are plenty of other improvements and fixes in this new Windows 10 Insiders Preview Build 17093. You can find them in the original 'Release Notes' shared by Microsoft. Don't forget to checkout the 'Known Issues' section too. If you have come this far, it means that you liked what you are reading (Windows 10 preview build 17093 released to Windows Insiders with many new improvements).